Oh yeah, baby! One week until the 2019 running of the Prince Rupert Half Marathon + 8k. 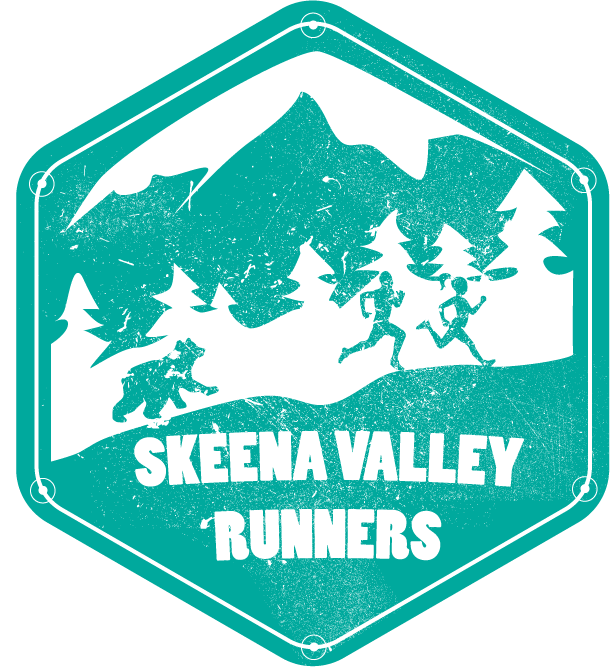 The forecast calls for some rain, but the Skeena Valley Runners forecast calls for lots of medals and even more smiles! Rupert Runners always put on a great event. In fact, I probably never would have attempted to become a competitive runner if it was not for running scene in Prince Rupert. But I do have a love-hate relationship with this particular race. You see, in 2016 I won the whole damn show. I have been lucky enough to win a few masters' categories (ages 40 and up) but this was my first ever outright win. I've won three races outright now, but your first is always extra special. In 2017 I died, laying a wreath around the 13km mark, as overtraining syndrome took control of the reigns. I trained far too aggressively while working a ton all with the Bon Jovi attitude of "I'll sleep when I'm dead." Like literally. I was sleeping four or five hours a night. There were signs that the stress I was putting my body through was catching up to me, but it was in Prince Rupert where I literally powered down, trotted to the finish line and had to answer to everyone what had happened when I only had questions myself. It was no fun, and worse yet, the months long recovery was just beginning. 2018 I never returned to the race. Though I had a good showing at the Cunningham sea wall race in Vancouver in November 2017 (40:04) I did not have the confidence to return to the race where I had failed. In fact, I never went to any Rupert events in 2018 except for leg one of the Skeena River Relay, which, nicely enough, happens to be basically the first half of the half marathon race. That proved to be therapeutic. Yet I still had no desire to return to the Rupert half this year. Hey, I'm getting old. It's tough keeping up with these young whipper snappers. That changed when Brent Webb told me I had to. I had to represent Skeena Valley Runners. I had to support the local running scene. He didn't want to answer the "Where's Joe?" question. Of course he is right. And he is also my relay partner in 2019. You see, the Rupert Half Marathon can also be run as two person relay. Brent has a marathon in Wales the following weekend, so he only wanted to run about 10km. So this works out perfect for him. This also works out perfect for me. I will be able to return to the race that I love and that I hate. Am I going there to win? You betcha. A couple grandpas looking to beat the young punks! But I'm going there to have fun first and foremost.